Although the X-Men are currently knee deep in the Age of X-Man, Marvel is already looking ahead at the next big thing. At C2E2, the publisher confirmed that Jonathan Hickman is returning to Marvel to headline the next X-Men event. 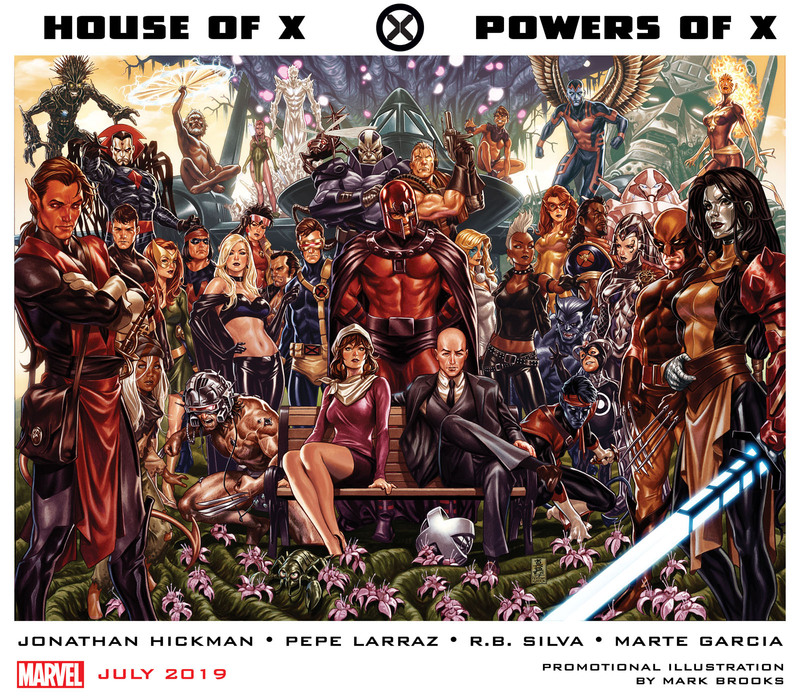 Hickman will write two alternating weekly series: House of X and Powers of X. Pepe Larraz will illustrate House of X, while R.B. Silva will provide the art for Powers of X. 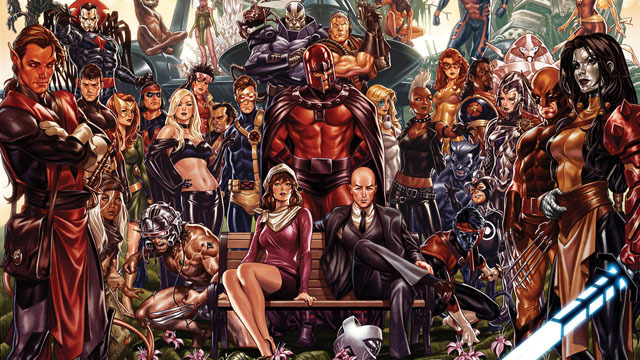 Accompanying the news was a double cover image by Mark Brooks that features familiar faces from the X-Men’s past, present, and future. Note that the woman on the far right appears to be a fusion of Colossus and his sister, Magik. While the character on the far left may be Azazel, Nightcrawler’s rarely seen father. The image seems to lean heavily on the Jim Lee era, but it also dips into the ’80s with punk rock Storm, disco Dazzler, and Firestar. To the right of Azazel is Vulcan, the third Summers brother, and the former emperor of the Shi’ar Empire. Cyclops only briefly met Vulcan in Deadly Genesis before their other brother, Havok, fought Vulcan in The Rise and Fall of the Shi’ar Empire. Vulcan seemingly died in War of Kings, and hasn’t been seen since. In the announcement, Marvel cited Hickman’s event as a “seminal moment” akin to “Giant-Size X-Men, 1991’s X-Men #1, Age of Apocalypse, and New X-Men.” It’s unclear if Hickman will take over the flagship Uncanny X-Men ongoing after wrapping up each series. House of X and Powers of X will launch in July. You can check out the full image below, click on it for a larger view. Are you intrigued by Hickman’s new X-Men project? Let us know in the comment section below!